How busy has our Congress been, this current session? Here you go. No, I’m not impressed either. Well, actually, I am… that they’re still not in jail. Democrats are finally starting to reverse course… at least publicly, about increased domestic drilling. Still dragging their feet, though. Still don’t quite get it. But never let it be said that their finger guages aren’t working. Bruce has more on this, as does The Politico. So has Billy. You can smell the sheer rat-weezil panic in that, just reading it and not even having to hear it or look at his face while he’s saying it. It’s right out of “Atlas Shrugged”. “If they were showing in good faith that they were drilling on some of the 68 million acres they have now, it might change some of our attitudes,” said Sen. Claire McCaskill (D-Mo.). Throw that wolf a bone for admitting her “attitude”. Meanwhile, chalk this up as the Lost Car Keys Theory of Bureaubotic Investment Diktat: you look for the oil where they let you in the same way that you look for your car keys under the streetlight because, well, the light’s better there. Look, I’m going to show you something you may not have noticed. At no times do these idiots ever once show facts and figures about how much oil is in the spots mentioned. There’s a reason for that. There’s more oil in Nancy Pelosi’s canned Tuna plant in American Samoa, than there is where the Congresional Democrats are insisting the companies drill. The fact is that the Democrats are dealing from a busted flush, and half of them are too stupid to know it. It would all be quite amusing if we weren’t paying the price at the pump. Billy’s right, though; What this boils down to is the left’s anti-production, anti-Freedom, (and in the end, I add anti-American) attitudes. The Republicans need to be hammering on this stuff, and I’m angry they’re not doing so nearly as much as they should. Billy will tell you too many of them are dirty on it, too, and he’s right. Neat story about the Marine seeing the birth of his kid via the net. Freedom Calls put this together. Kudos to them. You may wanna consider hitting their jar. See this nonsense about the guy who quit his job instead of honoring Jesse Helms by lowering the flag to half staff? Well, actually, he took a retirement. Far as I’m concerned the guy should have been fired, and denied retirement,a nd possibly faced jailtime, or some other form of punsihment for his misdeed. . Make statments about Helms if you like; that’s certainly your right. But refusing a lawful order of the Govenor? Sorry, that doesn’t wash with me, and I think we set a bad example, not reacting more harshly to this. I’m still chuckling that Obama voted for the FISA amendments. And it pleases me no end that the New York Times is having it’s backside handed to it in a bag. 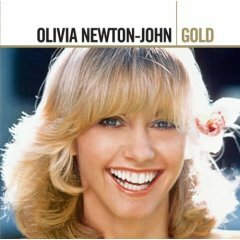 Finally, I note Olivia Newton-John got married again. Good for her. After all the garbage she’s been through in her life the last 20 years or so, I’m glad to see she’s got reason to smile, again. Only one problem. The story reports her as being 59. Jeez, does that ever bring me up short. OK, granted I was playing her stuff on radio back in the 70’s, when I was consdiering she was quite the dish. No, not in the “Grease” persona, thanks, that was a little over the top for me. But the pic here, for example, is enough to melt about anyone who was musically active in the middle 70’s. And aging is the natural progression, of course! But I won’t deny that little bit of information jarred me just a little bit. Kinda puts your own mortality in frame, I suppose.